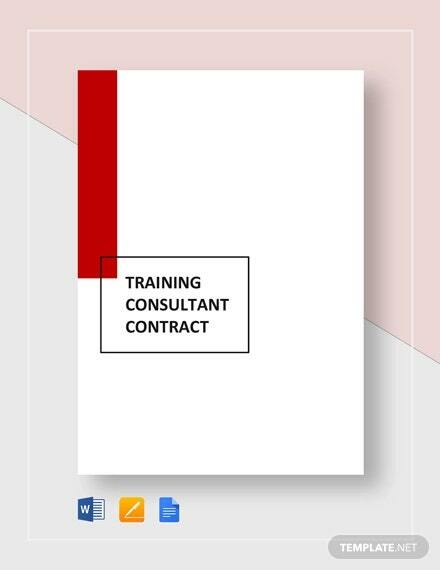 A consulting contract also forms part of a training contract since consultations are done from time to time in order to track gradual progress within training sessions. 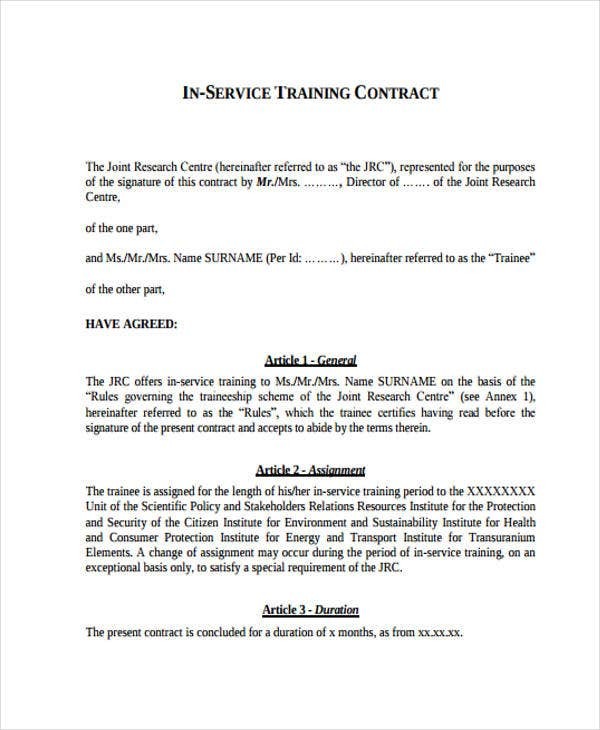 Training contracts could also be flexibly incorporated in a construction contract where construction workers undergo training to achieve an expected level of expertise. 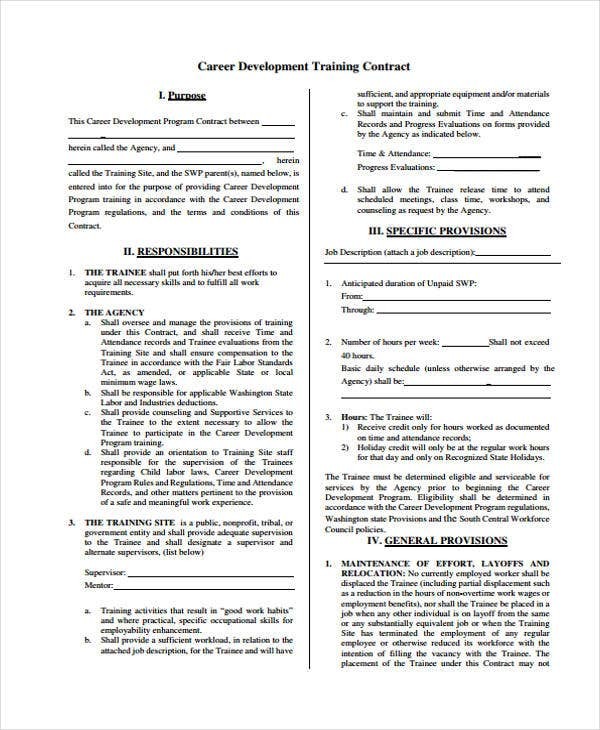 A training contract is a legal document that contains any agreement pertaining to relevant training that parties enter into. While there are contracts that hold parties liable for non-compliance, a training contract falls under the type of contract that does not necessarily involve legal sanctions when not complied with. 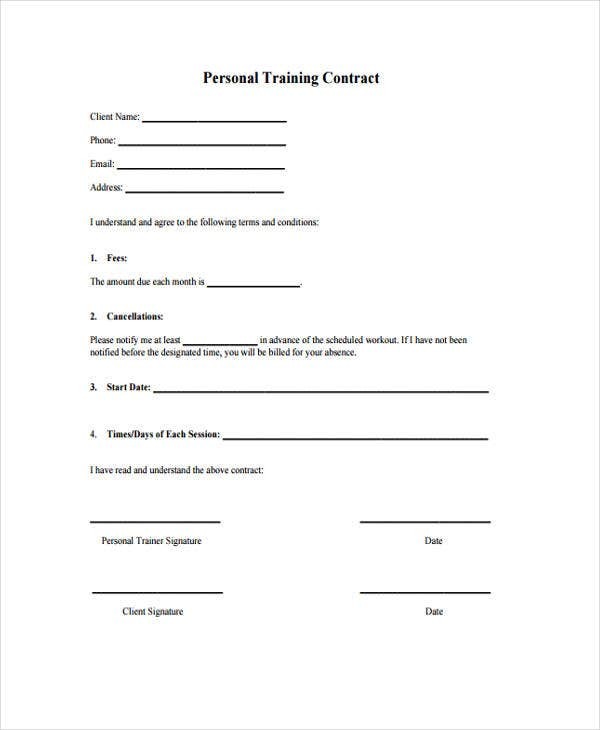 A gym contract template is a concrete example of the latter type of training contract where there are no legal sanctions needed in case a trainee bails on his or her gym training. 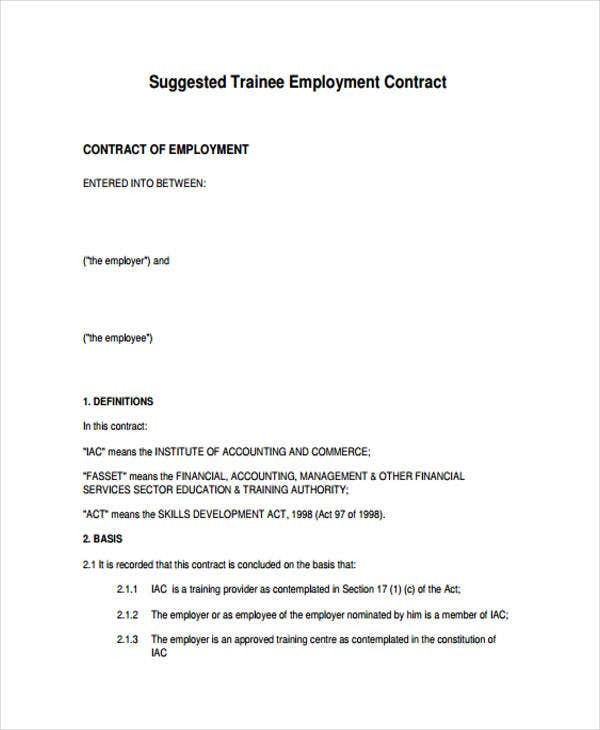 An apprentice training contract is a formal written document that reflects an agreement between an employer and an apprentice. 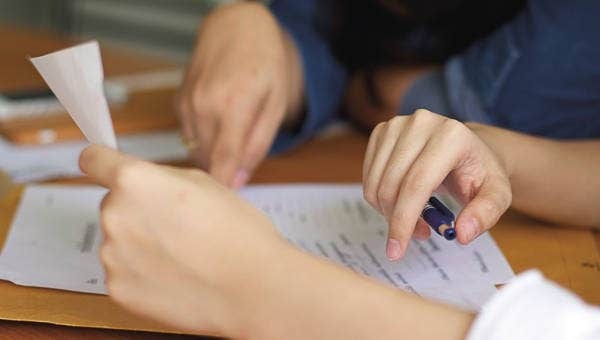 Standard Qualifications – These qualifications are set by the employer and having signed the contract means being able to comply with standard qualifications. 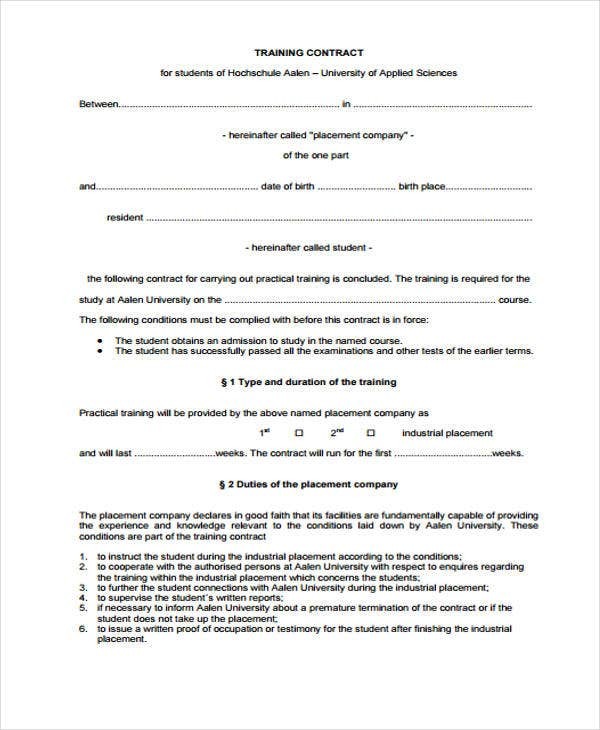 Coaching contract templates could also include an enumeration of the standard qualifications ideal for apprenticeship. 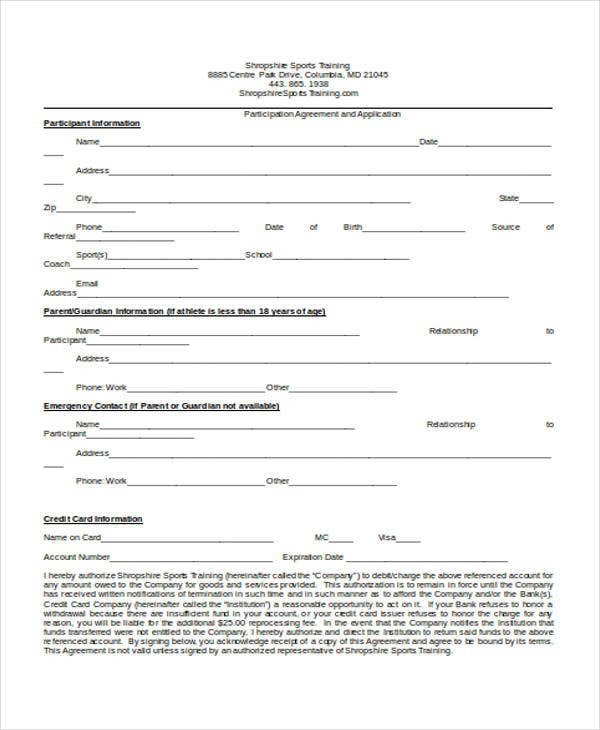 Apprenticeship Duration – The duration of the apprenticeship implies a specific duration needed for training in order to arrive at certain results. Number of Hours for Training – It is important to include in the terms the number of hours so as not to exceed the limit. Assess fitness for qualifications. You can only apply for a training contract if you are fit for their qualifications. Self assessment is the first step towards a successful application. 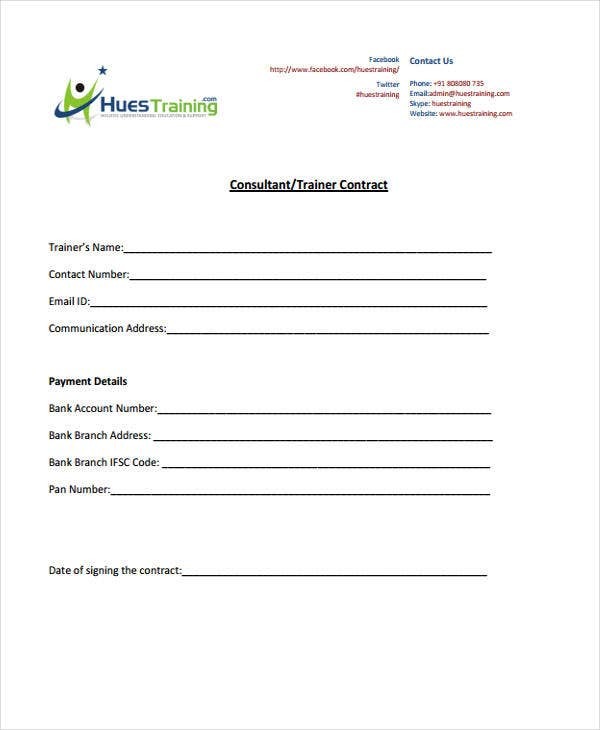 Secure training fees. In most cases where there are training fees needed, determine the amount that you have to pay in order to avail of a training. Commit to training. Whether or not there are legal sanctions in case of breach, it is important to commit to what you want to apply for so it would be easy to filter those who really would want to pursue training. 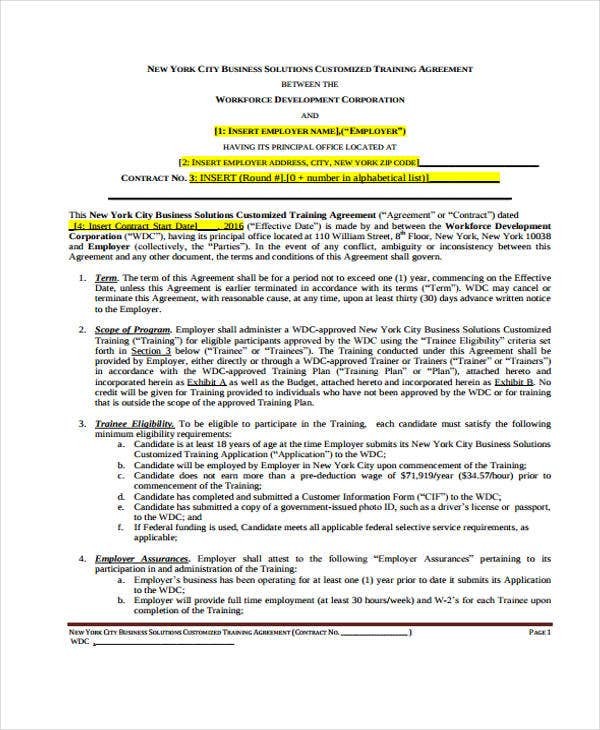 The steps above should prepare you for your training contract application. One’s decision to engage in training might just be the right choice and all you’d just need is to heed a few reminders before you officially get started. 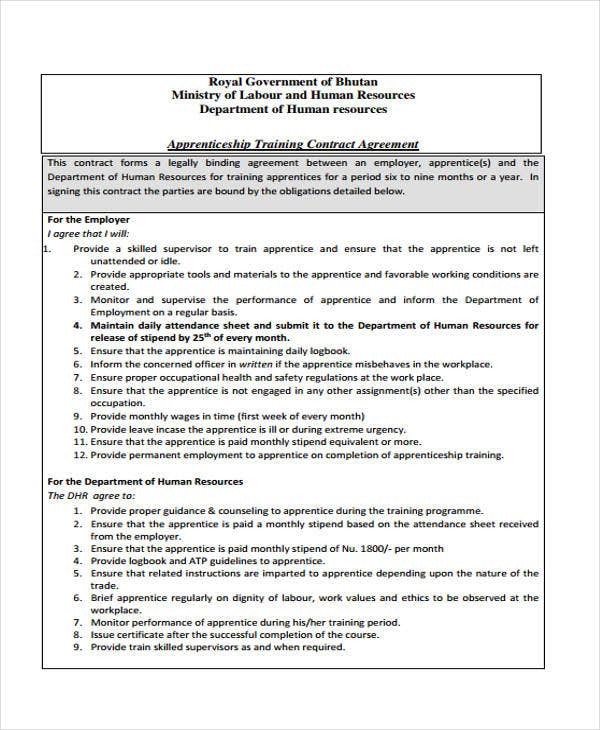 Go get a good deal out of your training contract.